There are many different reasons for wanting to lift your truck or SUV. You may want to fit bigger wheels and tires, you may be going for the "lifted look" or you may be after off road performance. We have the expertise to help you select the correct lift kit to meet your needs, and our professional installation will leave you with a vehicle that you can be happy driving on road and off. So you're interested in building a four wheel drive vehicle that can do more than pose at the local Gold's Gym? We can help you realize your off road ambitions. Everything from enhanced road vehicles to one off rock crawlers and tube frame buggies have been built by the four wheel drive experts working at our shop. 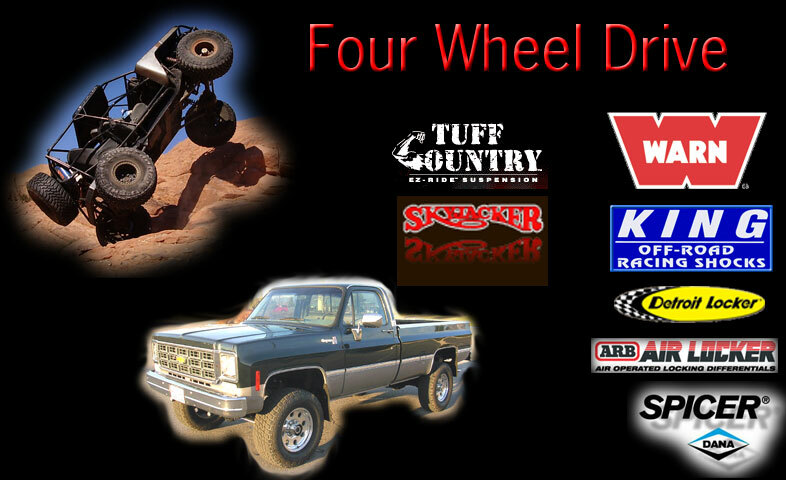 Contact us to schedule an appointment to discuss your off road project. Check out our staff down at Moab 2008.